I mentioned before on my previous Book #001 post that one of my favorite bento book writers is Akinoichigo. Her new book 子どもがよろこぶ魔法のおべんとう was released on 19 February, 2010 and you can buy it online from Amazon.co.jp or from Kinokuniya Bookstore. Her bento-making is such an inspiration for me. 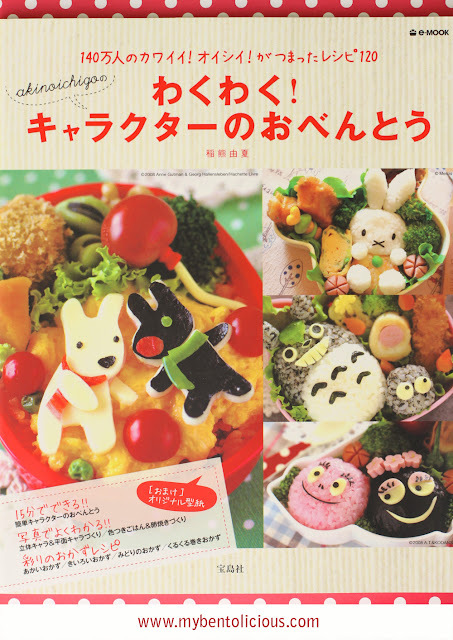 Bento books were my only source to learn bento making before I got into the bento blogging. I bought her first bento book from Kinokuniya and fell in love ever since. I collected all 5 books that she wrote, never missed it. If you are interested to buy her books, I have provided the links to Amazon.co.jp for all of her books listed below. Unfortunately, all the books are in Japanese. 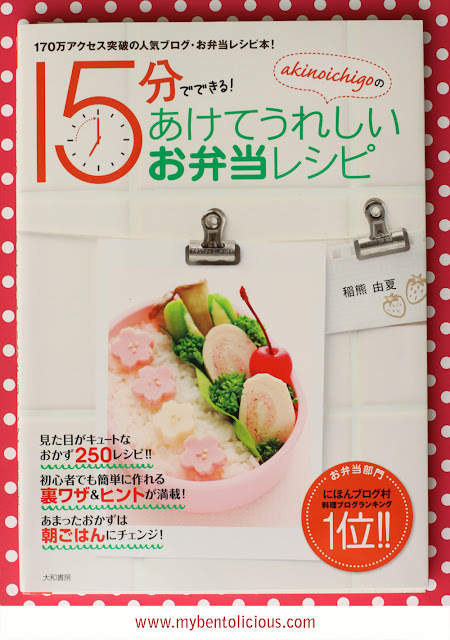 I can't read Japanese too but I don't see this is as a big problem because her books are full with great bento pictures, tips, ideas and recipes. Figuring out how to make it with the limitation of foreign language is one of the challenges, IMHO. HOPE YOU HAVE FUN IN MAKING BENTO !! The recipes might be a bit tricky if one doesn't speak Japanese, no? I had a look at her site and browsed the books on amazon. She really makes super cute things. Thanks for the links. @Token : Ahh ... mame-shiba are your favorite? Yes, they are so cute. Hope to see mame-shiba bento soon in your bento hehehe ... :) Thanks Token! i agree lia, akinoichigo-san's work is one of my greatest inspirations, and it's a challenge to figure out how to do things from pictures alone. i wish the books had a "google translate" button like you can press for her blog, haha! thanks for sharing your collection -- i must say, though, that your work is very individual and while akinoichigo may have informed some of your techniques, you've really created a special lia style! @megan : Thanks a lot Megan for your sweet comment! hahaha ... I thought that too. It will be very convenience for us then if there is translator button on her books :D Hope she will make her bento books in English version next time. That will be wonderful! @Rachel Hei : That will be great! I really recommended Akinoichigo's bento books to add for your collection :) Thanks Rachel! li, itu... ada totoronyaa... *speechless :D! 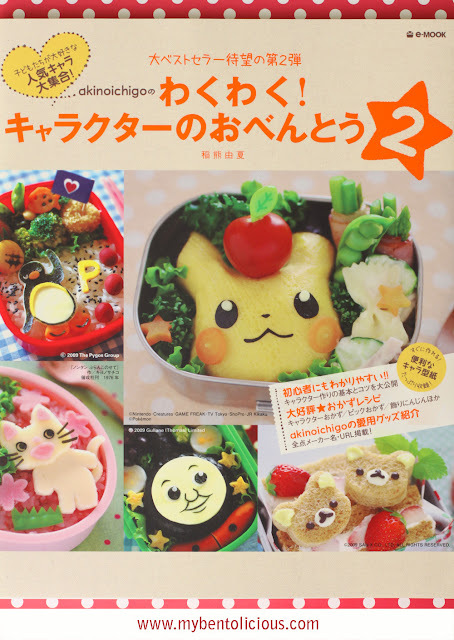 @Kuusou : You can find a lot of cute bento inside for reference. Really nice books! Do you speak Japanese? Wow!!! Thanks for the recommendations Lia! I think for beginners or people like me who have never made a bento lunchbox, these books are a great learning point. Have a great weekend! @Xiao Yen Recipes : I hope the bento books will help you in bento making. I also got a lot benefits from the books :) Have a great weeekend too! 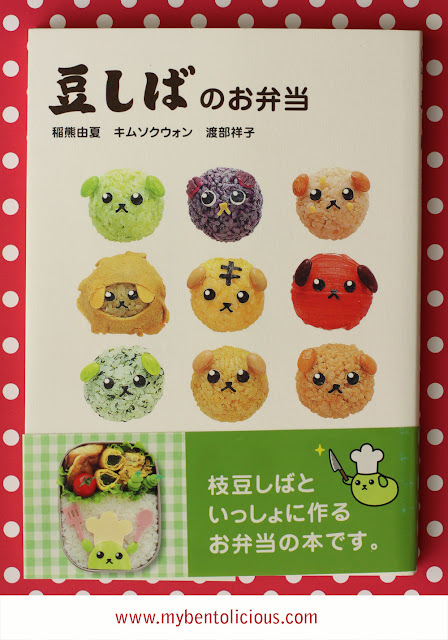 I have that Mameshiba Bento book!! I love Mameshiba AND bentos, so I had to have it! lol. ^_^ I agree with you (can't read much Japanese either), the photos are wonderful, so it's OK if you can't read Japanese!! BTW, have you seen the Mameshiba commercials? They are soo funny!! 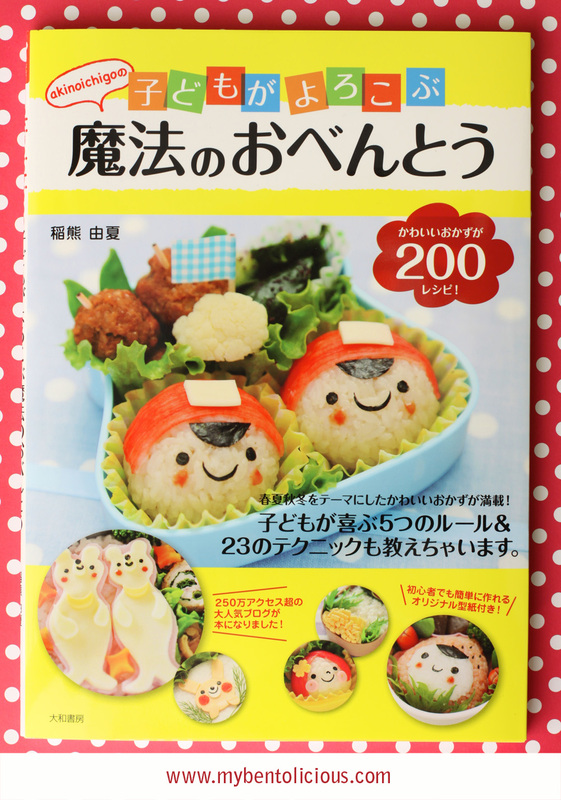 I don't read Japanese too but I can't help myself from buying these cute bento books too! Just bought a few from Kino during my trip to KL! @Angeleyes : Thanks a lot Alice! Hehehe ... :) We just love everything about bento, don't we? I've seen them in Japanese on tv here in Japan, but here is the website for the English subtitled comercials! So cute and funny! Lia, can u tell me about the book #3 and #4? Because I've got an email from Kinokuniya Jakarta that they have those 2 books. I dont know what book should I choose. Any recommend? Lia, ada buku yg bs direkomen ga buat bento snack yg ringan2? ♡⌣☺τ̩̩haп̥̥̲̣̥k<3ÿ̲̣̣̣συ̲̣☺⌣♡..